SwiftSync is the most enterprise-ready integration technology available today! 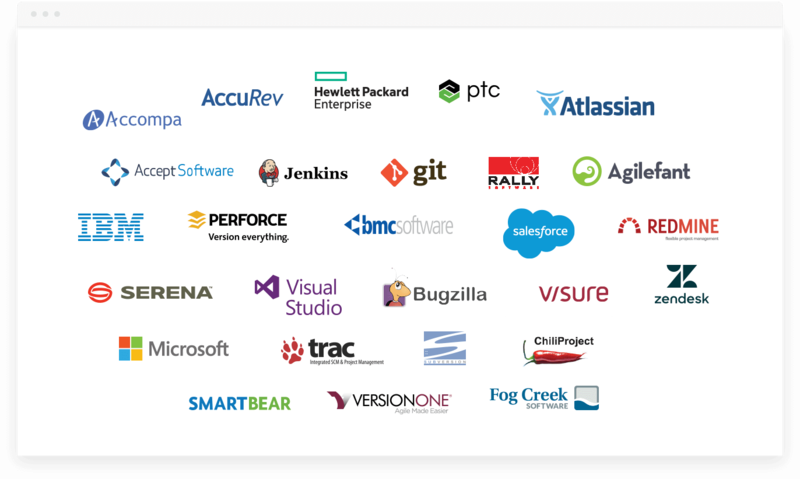 We support over 50 enterprise-class integrations with popular tools such as TFS, JIRA, CA Agile Central and many others. Use SwiftSync to visualize work across the organization! For more details, follow this link – SwiftSync Integration. SwiftKanban lets you export work items or backlog to a file so you can edit it in Excel and import cards in XLS format from other applications into our project. You can even export your project details to an Excel file if you want to share or view it someday. For more details, please check our help site.